A very important, but often overlooked, part to one’s health is vision. Some eye diseases, like glaucoma, do not show any obvious symptoms. People slowly lose their sight without warning. Fortunately, optometrists can detect glaucoma and other eye conditions much earlier by dilating patients’ pupils during regular visits. According to the U.S. Department of Health and Human Services (2010), 8% of the adult population currently experiences vision trouble. This is defined as trouble seeing, even with the aid of glasses or contact lenses. Vision loss in Hamilton County is more than double the national average. According to The Health Foundation of Greater Cincinnati’s 2010 Eye Health Report (now Interact for Health), 19% of adults in Hamilton County described their eyesight as poor or fair, even while wearing glasses or contacts. The study also reported that 7% of adults in Hamilton County, ages 46 and older, have never had an eye exam in which their pupils had been dilated. More concerning is that only 49% of adults living below 100% of the federal poverty guidelines ($24,250 for a family of four) reported having an eye exam in which their pupils were dilated in the last two years, and 15% of this population reported never having an eye exam in which their pupils were dilated. Diminishing eyesight is, even more, prominent among African Americans. According to a survey done in 2011 by the Glaucoma Research Foundation, glaucoma is the leading cause of blindness in African Americans. In fact, the disease is six to eight more times common among African Americans than in Caucasians. Unfortunately, the study also found that 16% of African Americans are unfamiliar with glaucoma disease. Hypertension and diabetes, diseases that also affect eyesight, are also prominent in African Americans nationally. According to BlackDoctor.org, 18.7% of persons from the Black community across the U.S. ages 20 and over have diabetes. Additionally, the American Heart Association indicated that more than 40% of non-Hispanic blacks have high blood pressure. As a result, African Americans may be more prone to vision loss. 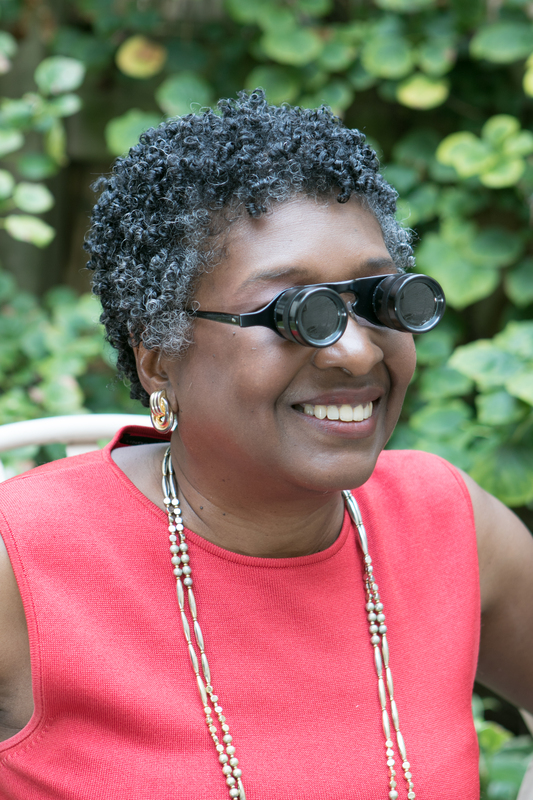 Vision loss is, even more, prominent among African Americans in Hamilton County. The Health Foundation of Greater Cincinnati’s 2010 Eye Health Report (now Interact for Health) also noted that more than one in four African Americans (26%) reported fair or poor eyesight, compared to one in six white non-Appalachian adults (17%). “Unfortunately, many African Americans believe that vision loss is a part of the aging process, and many do not seek medical care or support services as they should. Lifestyle disease, such as hypertension and diabetes, are prominent in the African American community. These diseases, along with cataracts and glaucoma, may cause vision loss,” Denise Davis, M.D. said. Advances in technology and improved services now allow persons with vision loss to live more independently. 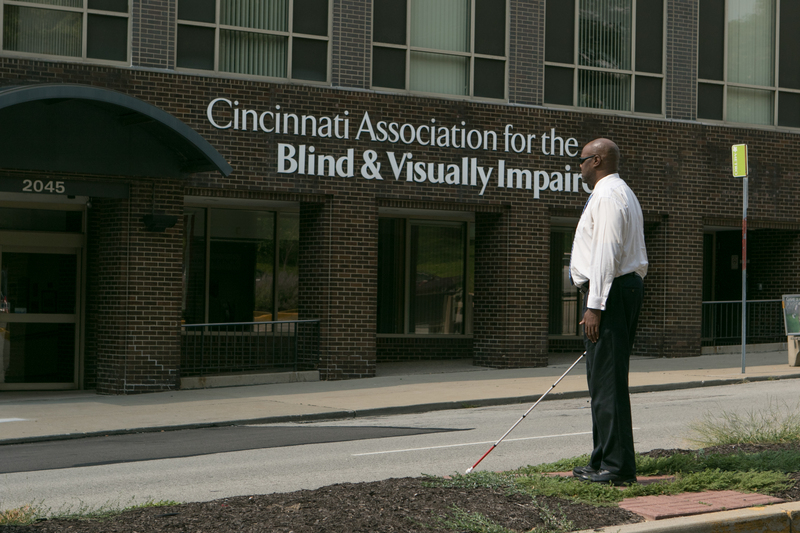 Cincinnati Association for the Blind and Visually Impaired (CABVI) provides resources to help people with vision loss better understand and adapt their conditions. They also provide employment opportunities, home assessments and training opportunities for persons with vision loss. Ginny Backscheider, Director of Program Services at CABVI, actively works to educate the community about the services available to persons with vision loss. “We provide many specialized services to help individuals maintain their independence. Our professional staff is ready to help persons with vision loss live successfully and confidently,” Ginny Backscheider said. The U.S. Department of Health and Human Services recommends that adults’ ages 18-60 years-old have a comprehensive eye exam (including pupil dilation) every two years. For more information on how the CABVI can help you or a loved one, visit www.cincyblind.org, or call 513-221-8558. Previous Post Don’t procastinate. Shop Black for Valentine’s Day!